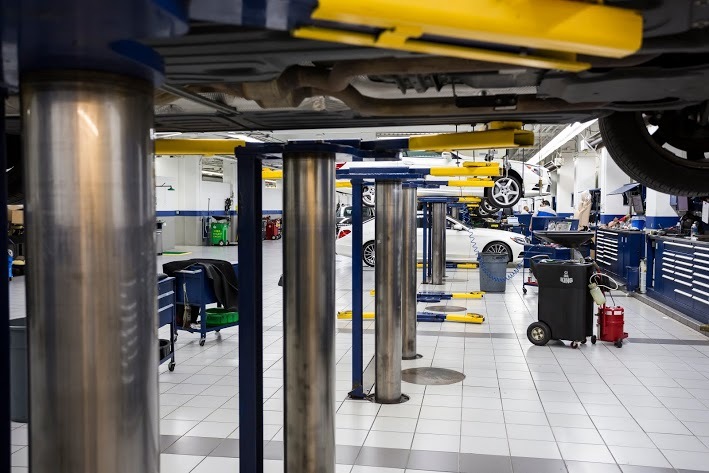 Getting routine oil changes is the absolute easiest thing you can do to prolong the life of your Mercedes-Benz and save yourself from the inconvenience of breakdowns and repairs in the future. As an engine operates, microscopic wear and debris particles flake off from various internal engine parts and enter the vehicle’s oil. To remove these particles, an oil change with clean, quality motor oil will ensure that the engine is bathed and well lubricated. You might have heard that you should change it every 3,000 miles, however, we recommend changing the oil every 5,000 miles. This is in part due to newer technologies and high performance oil in your Mercedes-Benz! Better Engine Performance – Oil changes help keep the internal moving parts of your engine clean and lubricated, allowing for a smoother, quieter ride. Better Gas Mileage – By improving lubrication, new, clean oil reduces friction that can slow down your engine and have you visiting the gas station more often. Lower Vehicle Emissions – Clean oil enables an engine to run cleaner, and a cleaner running engine emits less exhaust than a dirty engine. New oil can better absorb harmful engine particles and engine by-product emissions. Extended Engine Life – Wear and friction are the two leading causes of engine wear and failure; regular oil changes reduce engine wear and result in a longer lasting car engine.